Life in the Australian outback represents sheer beauty to me. I have travelled extensively throughout more than 70 countries spread over all the continents, and I can’t think of a place that makes me feel better than the outback. I fell in love with it the very first time I saw it, travelling along the Gibb River Road in Western Australia. I had been in many remote places before, but never had I experienced the feeling of complete and utter solitude that I feel here. Why do I enjoy this so much? Because life here is so pure. The outback is a world without borders. A place where mobiles don’t work. No internet, no radio or television, no 911. No traffic jams, no credit crunch, no nine o’clock news, nobody. The outback lacks all the things that dictate our daily lives in what we refer to as ‘civilisation’. To shoot for this book I drove a bushcamper all the way through South Australia and Northern Territory, coast to coast through one of the hottest, most remote and extreme places on our planet. Nature here is spectacular. The climate is extreme and vast areas could be described as completely barren. Still, plants and animals have found all sorts of complex ways to survive in this tough world. When I left Adelaide, the only thing I knew was that I had to return my four-wheel-drive to Darwin within two months’ time. I had no itinerary, no schedule, no planning. I drove ten thousand kilometres, more than 90% of it dirt, mud, gravel and a whole lot of dust. 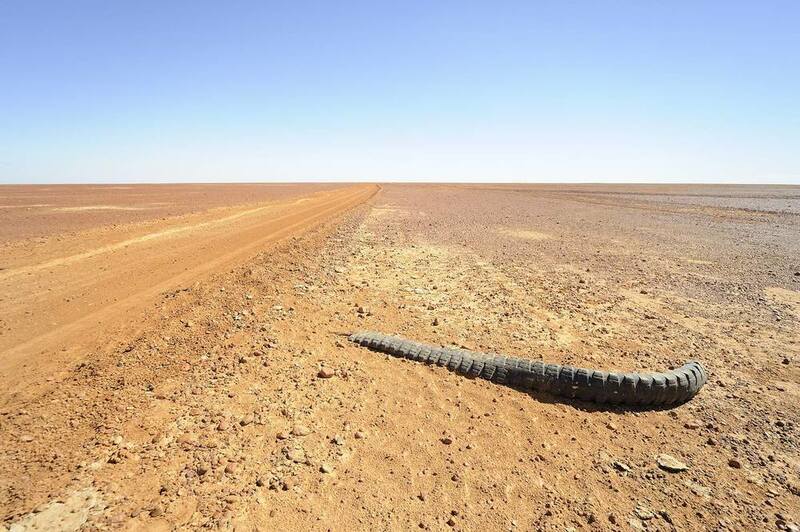 I spent weeks along dirt roads with mouth-watering names such as the Birdsville Track, the Strzelecki Track, Old Andado Road and Oodnadatta Track. It turned out to be one of the best experiences of my life. 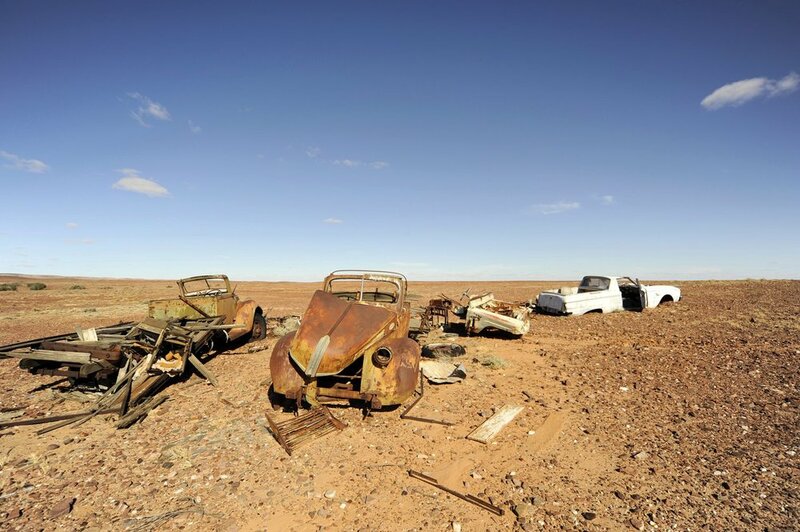 The outback is one of the few places left on Earth where Mother Nature is still in charge. This – to me - is the real world. 'Hot' shows the outback in a way even the local cowboys don't see it. My images are always about life and the incredible beauty of it. This book is a showcase of everything I met on my way that touched me - people, wildlife, insects or beautiful skies. 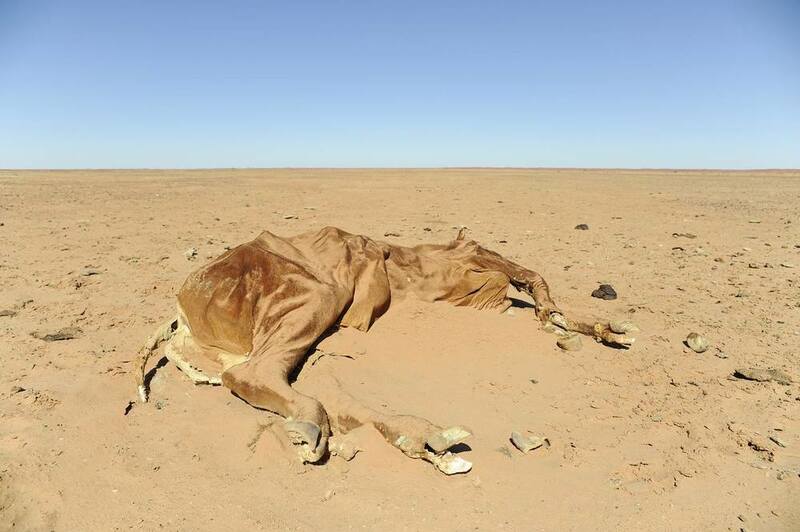 It is not a romanticised image of what the outback could very well have been. It is a picture of what it in fact is: a vast, inhospitable and beautiful piece of our planet. 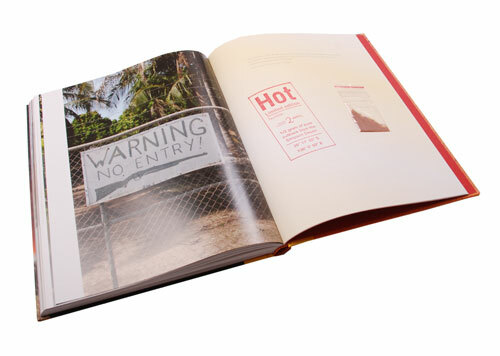 'Hot' was voted 'Best travel photo book' by the Association of Dutch Booksellers. FULL SCREEN GALLERY HOW TO ORDER? Heslenfeld is an alchemist, transmuting the blood, sweat and grit of the outback into something spectacular. Close-ups of human and animal detritus, dead bird's claws, a bloodied calf and dumped tyres take on a magical quality. I was impressed and surprised at the same time. Lost for words actually. This was so totally different from any photo book I had ever held in my hands. Very uncompromising, just like the country it portraits. It captures the harshness of it in high definition. It makes you not only see it, it makes you feel it, at times in an unsettling way. The flat, distant horizon and spectacular dawn hues are beautifully rendered in his latest book, Hot. Crossing the centre of Australia from north to south, Thijs brings to life some of the continent's most remote areas. While the scenery is undeniably spectacular, it's the people who give the outback its character and he captures them honestly in their environment. Thijs' photography is extremely good, he captures the things you would see and mixes this with the things you'd probably miss. Zowel 'Hot - Life in the Australian outback' als 'Cold - Sailing to Antarctica' zijn boeken waar een grote mate van liefde en eigenzinnigheid uit spreekt. Liefde voor het leven, liefde voor de natuur, liefde voor het mooie beeld.